Home Sweet Truly Exceptional Home! 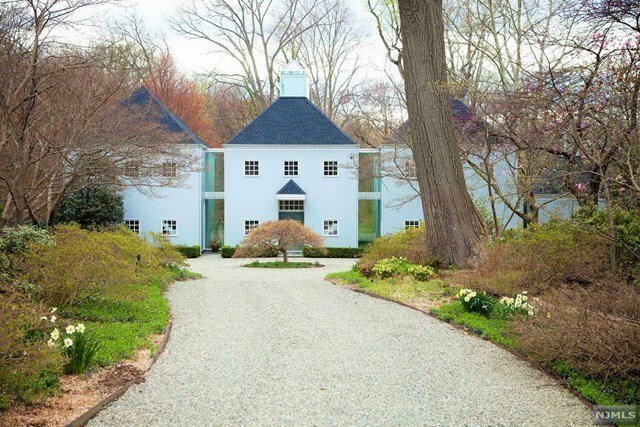 Perfectly situated on 3.35 acres, 8 miles from the GWB, bordering Alpine CC Golf Course, & designed by the award winning, world renown Architect Hugh Jacobsen, constructed by premier area builder J Campoli & Sons, this updated, beautifully maintained 5 bdrm, 7 bath estate is available to the fortunate discerning buyer FOR THE FIRST TIME! Landscaped designed by NYBG Stephen Morrell incorporating the heated pool, full service cabana, tennis court,specimen plantings & trails. Upon entering the 2 story FEF with awe inspiring circular bookcases & railings, the meticulous attention to detail is apparent. 5 pavilions connected by glass corridors provide awe inspiring views of nature's bounty along with multiple areas to relax with family & friends. Only a visit to this truly one of a kind GEM of a home can do it justice. Roof is 2 years new! Whole house generator! Premier town & top rated schools. One year home warranty provided to the buyer.